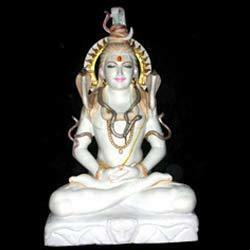 We are reckoned manufacturers and suppliers of finest range of Shankar Parvati Sculptures Shiva Sculpture (White). The range is made of excellent quality marble and finest paints available in the market to offer it elegant look and long lasting durability. Backed by a team of expert artists, we are engaged in designing and manufacturing superior quality range of Shiv Parvati Sculpture. These sculptures are available in varied styles and sizes, so as to meet the variegated client requirements. The range is fabricated with quality marble and is painted with several vivid colors such as green, red, pink, blue, golden silver and yellow. We are one of the trusted names in the domain for offering an exclusive range of Shiva Sculpture (White). This array is made in fine quality and offers best quality and beautiful looks. The array is available in varied sizes and styles to suit the variegated client requirements. We offer the range to our clients at industry leading prices. 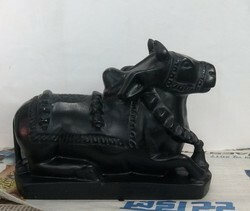 We are involved in the design and carving of an elegant range of Shiv Parvati Sculpture. 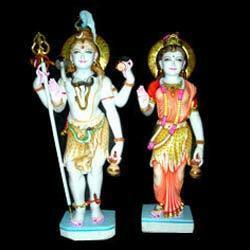 These are made in white marble and are painted with excellent colors of golden, red, grey and brown. The products offered by us are durable and long lasting and offer exquisite beauty and devotion to the ambience. This range is suitable for temples, houses, religious places and educational institutes. 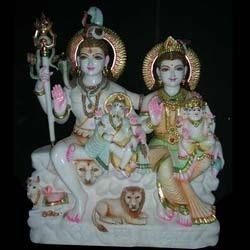 We offer varied variety of Shiv Parvati Statue. These are manufactured using high quality raw materials that are procured by our trusted vendors. The range is designed in various styles and is offered in varied sizes to meet the individual requirements of the clients. We make this range available to our clients at best industry prices. 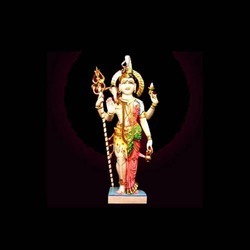 Looking for Shankar Parvati Sculptures ?